In our last post we gave a peek into the front design of our new gift tags. 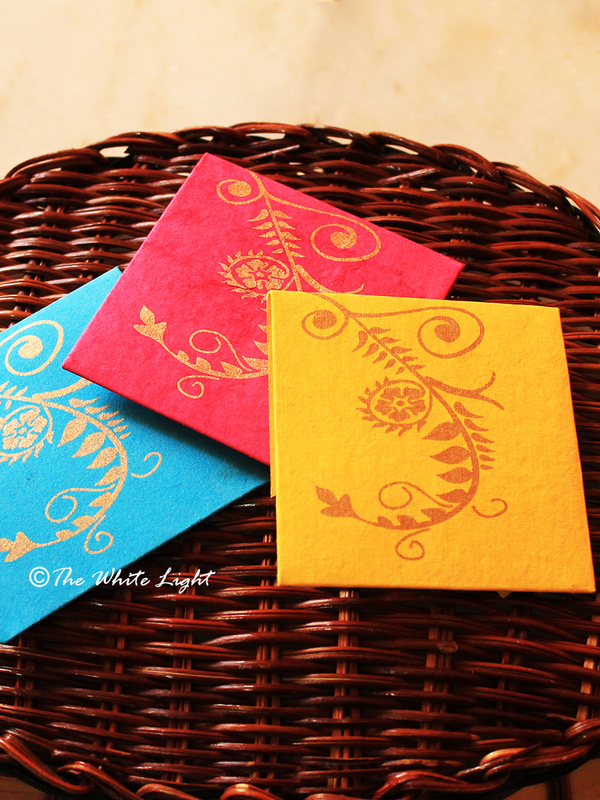 This post is about the backside of the gift tags and the different hues they come in. The print on the backside is in gold just like the front. The contrasting colors gives it a rich look and would go with any occasion and any gift. It definitely went well with the bouquet of flowers :). We love them even more because the paper we used is made from recycling cotton rags, which otherwise would find place only in the garbage pit. These beautiful gift tags are now available on sale, you can buy them by clicking here. Yes, it’s that simple :). Previous Article How about personalizing those gifts? Next Article A very very cool idea straight from Israel.